Looking to create a beautiful outdoor space for your home and family? Don’t want to settle for a simple potted plant? Great! Genesis is here to help. We’ve been designing outdoor spaces since 1993, and we love creating outdoor patios. A back patio carries a huge amount of potential for a home. This space can be accessorized to become an extension of the home as an “outdoor room”, or a stand-alone space with specific uses. To achieve the “outdoor room” consider a design which links the visual style and space with the adjoining rooms inside the house. A simple solution is a ‘glass wall’ without curtains or blinds and a large sliding glass door. A pergola can be constructed around the patio to guard against sun in the Summer and rain in the Winter season. It’s also important to match color, texture, and architecture style; varnished wood to varnished wood, blue accents, and even furniture styles can connect two spaces. For the second most common “stand-alone” space, the patio can take on an independent identity from the home. This is useful if the patio needs to be a place of tranquility and rest, separate from the rest of life’s troubles. I won’t presume to say how you’ll use your patio, but I know I’d take my coffee outside and use it as my creative writing space. I’m sure you can think of a few more uses which are more fun (feel free to comment them below ;). Including small flower planters and even a simple water feature can do wonders to create distance from the “rat race”. 1. The devil is in the details. Don’t assume that a compromise today makes a wise decision tomorrow. 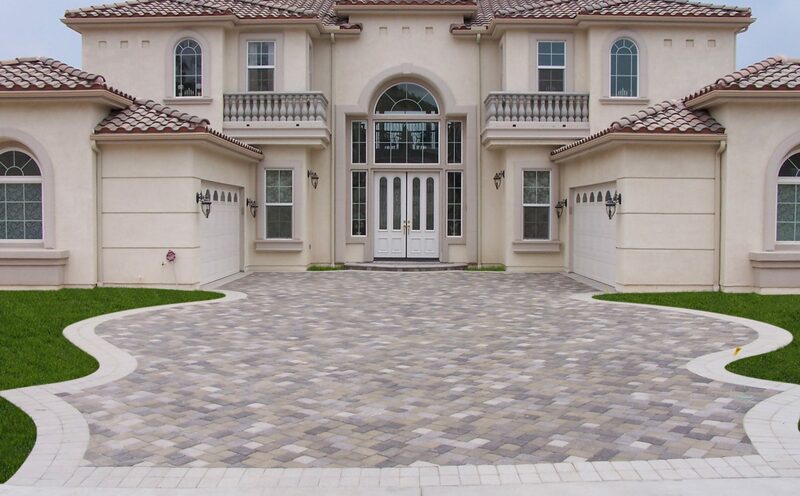 Choose a design layout that will “wow” you every time you step outside. Go ahead, you deserve it! This may mean adding a half size step to increase the height of the patio, or a small garden wall around the perimeter. These little features can transform a yard beyond recognition, making the effort worth while. 2. Expectation without communication. Just like a great friendship, the key to a successful design and installation at your property is excellent communication from all parties involved. If you want a cream-brown blended color mix, then say so! The design company exists to serve and loves hearing your opinions and visions for the property. 3. Start from scratch. If you want the absolute best outdoor patio design, then be open to a fresh start. By allowing the design professional the ability to design without any preconceptions, previously un-imagined shapes and connections could emerge. These new ideas can be incorporated into your new idea, or you may edit the design to create a third option. When considering a large project like this, it’s worth time spent in the design process. You’ll be glad you did. To contact Genesis for a free estimate call toll free 888.389.5533 or visit our free estimate page. I love love the designs. Kewl you should come up with that. Exnellect!